Philadelphia Phoenix is a professional ultimate team and member of the American Ultimate Disc League (AUDL). The Philadelphia franchise was created in 2012, as one of the original eight founding teams of the AUDL. In 2013 the team adopted the Phoenix name under the ownership of Jorge Harris. The Phoenix home field is A.A. Garthwaite Stadium located in Conshohocken. The AUDL is the premier professional ultimate league in North America, with 21 teams across the United States and Canada. The Phoenix compete in the East Division with DC Breeze, Montreal Royal, New York Empire, Ottawa Outlaws and Toronto Rush. The team finished the 2018 season 5-8-1. The Philadelphia Phoenix strive to advance the sport of ultimate while promoting diversity and creating opportunities for women in the sports industry. 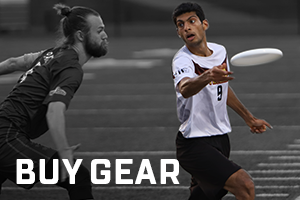 Advance the sport of ultimate through dynamic and high-level play, striving to become a leading team in the AUDL while reflecting sportsmanship, integrity and the spirit of the game. Grow awareness of ultimate by engaging fans through exciting game play and instilling a love of ultimate in new generations by fostering future players. Be reflective and representative of the demographics in our city and nation, promoting diversity in ultimate by engaging fans and players from all backgrounds and making the sport accessible to all. Remove barriers and provide women more opportunities to further themselves within the sports industry.